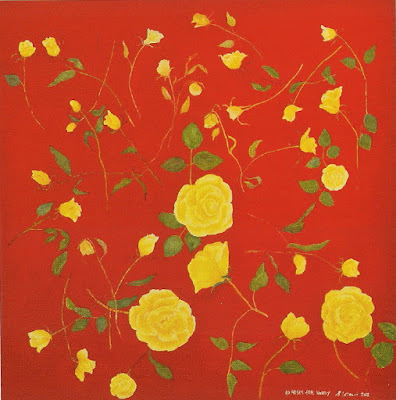 This work, Roses For Wendy, is not only very decorative, it has a story too. The artist's sister in law sent herself yellow roses every birthday. She wanted to tease her husband that she had a secret admirer. He only discovered the secret after their marriage had ended.